This month is a little wonky: since we’re two different people, and we each want to talk about our own favorites, we’re doing two books per post this month. In the future it will just be one, so don’t get used to this bounty. All links go to Harvard Book Store in Cambridge, MA, because we’re sticking to our roots this month. 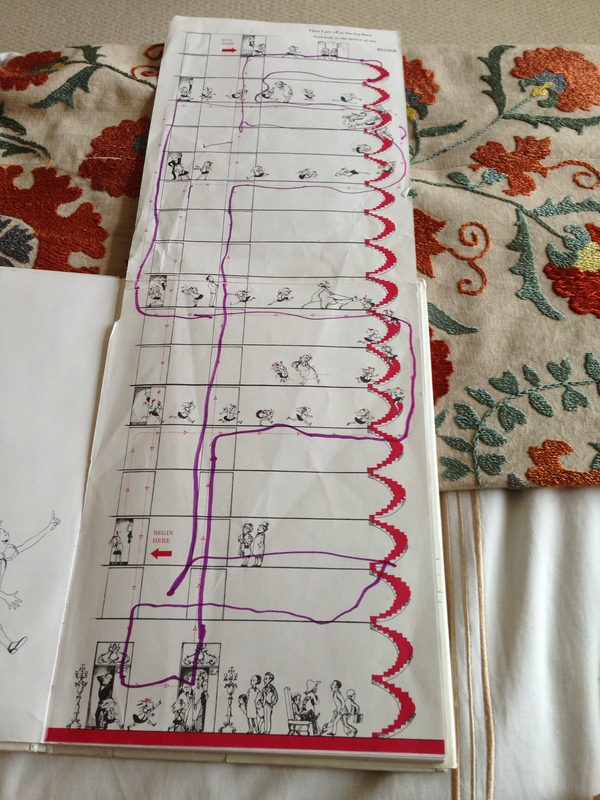 I liked to follow Eloise’s circuitous stair-and-elevator journey with a purple marker. Here’s the thing about Eloise: mostly she just wants to play. As an adult I recognize that that kid is super annoying, but back then, she looked like me: just a kind of weirdly shaped kid who lived in a neighborhood without any other kids, and she wanted to play. I was talking with a friend this morning about how as a child I was obsessed with the idea of finding neighbor friends. It just seemed so wonderful to be able to go down the street and hang out and, I don’t know, play kick the can or something (I have no idea what kick the can is, it’s just a thing I heard on Nickelodeon). Eloise ALSO just wanted someone to hang out with. Although I think she’d probably be more likely to play kick the bellhop, because seriously, that kid is super annoying. Serena: Elmer and the Dragon was the first chapter book I ever read. And by “read” I mean listened to my father reading. I can’t remember exactly when I learned to read—in fact, I can’t remember anything about the process, really—but I’m completely confident I wasn’t up for reading Elmer at age five. Didn’t stop me from loving it, though. The whimsical story of a boy and his baby dragon, not to mention the simple yet perfect illustrations, stuck in my head so completely that I spent the next several months pretending I had my own dragon and shaping versions of him out of everything from modeling clay to soap suds. I’m not quite sure why my parents chose Elmer and the Dragon (the second in the series, oddly enough) as my first chapter book. It was pretty dated even then. But whatever. The sheer charm of those books is ageless. Or at least it was for me. By five years old, I already loved books—my parent’s fabulous taste in picture books had taken care of that—but Elmer and his baby dragon showed me what it was to be desperately attached to a book’s characters, to care what happens to them, to want them to be a part of my real (much more boring) life. 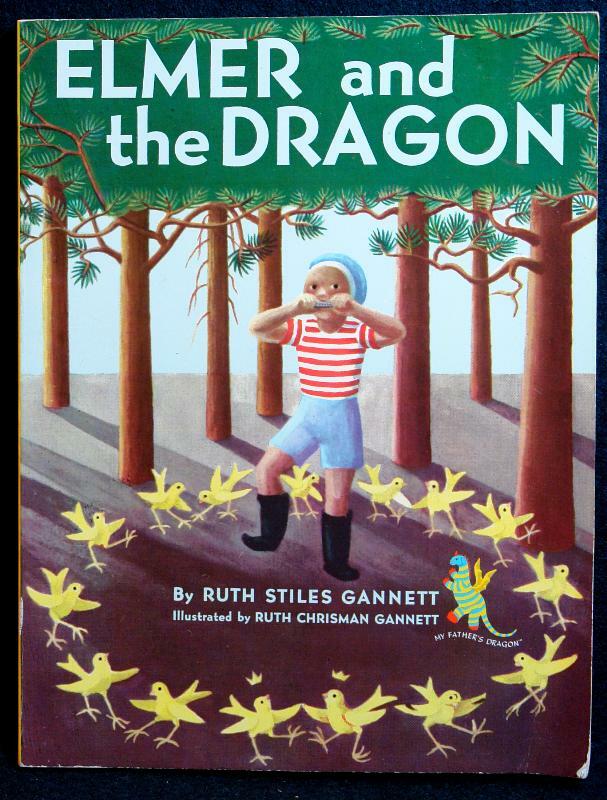 This entry was posted in April 2014 and tagged about us, April 2014, brats, dragons, elmer and the dragon, eloise, favorites, Harvard Book Store, hilary knight, kay thompson, kidlit, my father's dragon, ruth chrisman gannett, ruth stiles gannett. Bookmark the permalink.